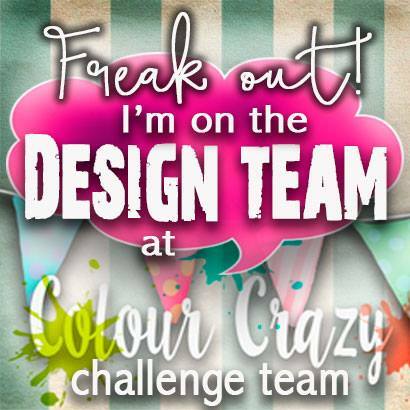 It's time for a new challenge at Catch the bug.. Beings it's the first Saturday of the month .. This is my card. I started by coloring the image Flower butterfly vase.. with Prisma colored pencils. For some reason they really blended together. I was so happy. I didn't have to use Gamsol or baby oil.. I like that. I layered this on a piece of navy blue card stock. 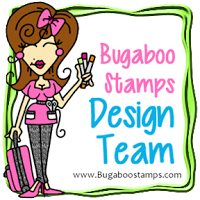 I found some bright yellow and green card stock so I cut to fit the A2 card base and using a burlap background stamp I used Versa mark and laid the card onto the stamp. (I see there is a small spot to the right in the green that I missed getting inked.. I know you probably didn't see it but boy I did but thought if I tried to go back and cover it with the stamp which is a red rubber.. It would look more noticeable as a blob..so I will live with it) I used Simon Says sentiment and heat embossed. I added some sequins and Spectrum Noir sparkle pen to the butterflies and called it done. 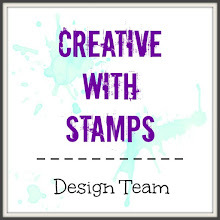 ooohhh I love the burlap stamp and beautifully coloured image -I am useless with pencils!!! Pretty card. Lovely coloring and really bold, bright colors! Thanks for sharing with us at Use Your Stuff this week and hope to see you again. 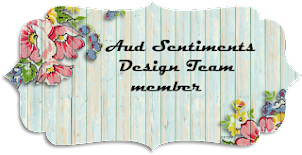 So bright, beautiful and summery card! 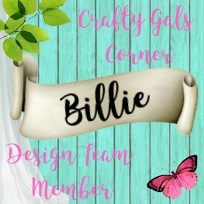 Thank you, dear Billie, for joining the challenge at Crafting from the Heart that we are sponsoring! Good luck with your entry! A lovely card with bright colours. 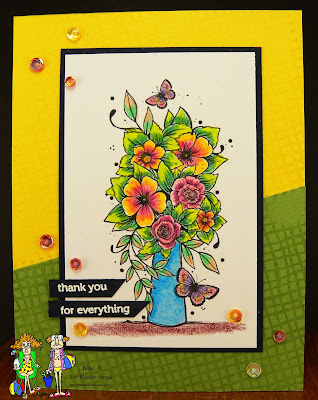 Gorgeous coloring on those flowers, Billie, and I love the background stamping! 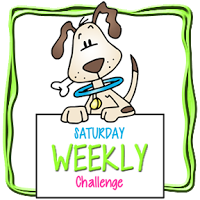 It's so great to see you playing along in our "Anything Goes" challenge at QKR Stampede this week. Good luck in the draw. 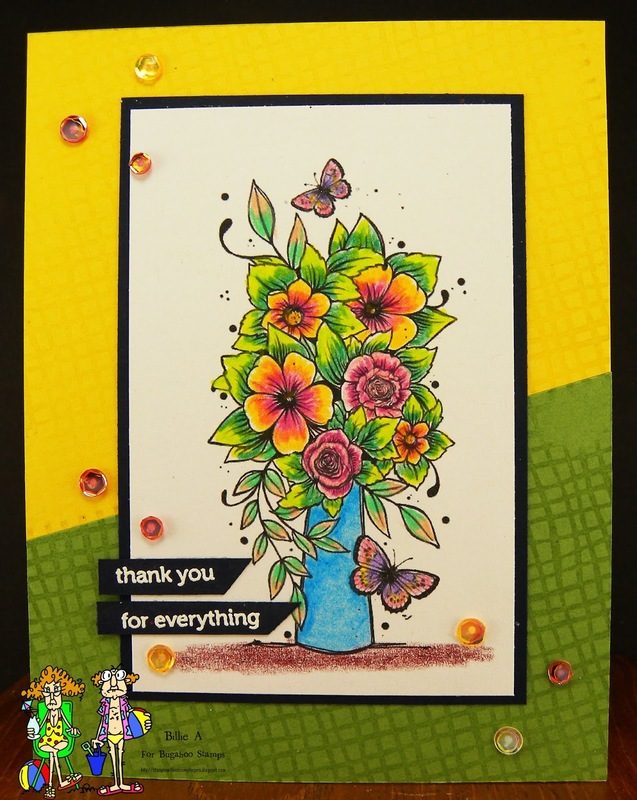 Lovely image and coloring!Well done,Billie!Thank you for sharing with us at the Crafty Gals Corner!Hope you join us again soon!